✅ See Minke whales and Humpback whales, White-Beaked Dolphins and Harbour Porpoises. We recommend warm clothes and even some sunscreen in the summer months! Please read through our terms & conditions. Spend your morning whale watching and then go sea angling in the afternoon. You could go Whale Watching during the day and then Sea Angling in the afternoon. Spend your day watching the magnificent cetaceans swimming around in Faxaflói bay. 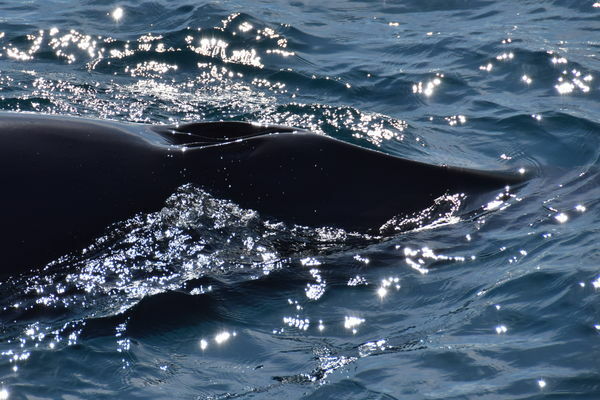 When you have enjoyed seeing the White Beaked Dolphins bow riding alongside the boat or a Minke whale curiously taking a look at the passengers onboard the boat you switch gears and go for the fishing tour. 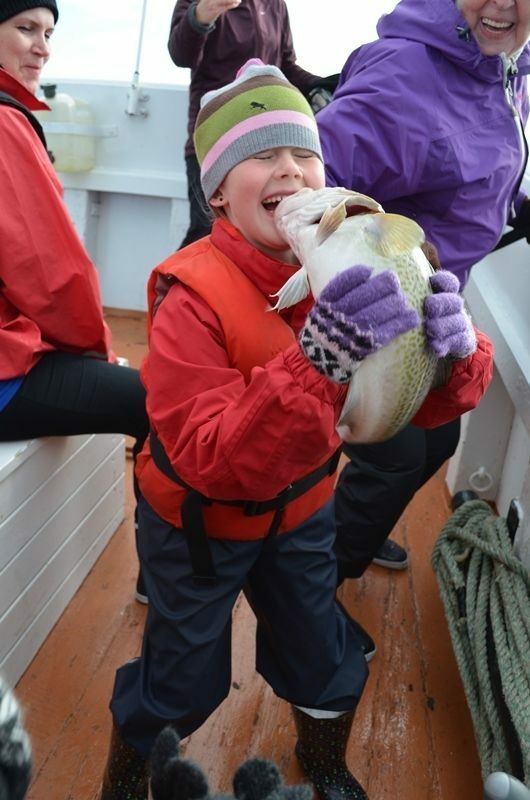 The sea angling tour is suitable for all ages and is very cultural as well. The boat is well equipped with fishing rods and waterproof jackets for the ones who are fishing. The tour is perfectly suited both to experienced fishermen and to those who simply want to relax and enjoy the beautiful surroundings with a fishing rod in their hand. 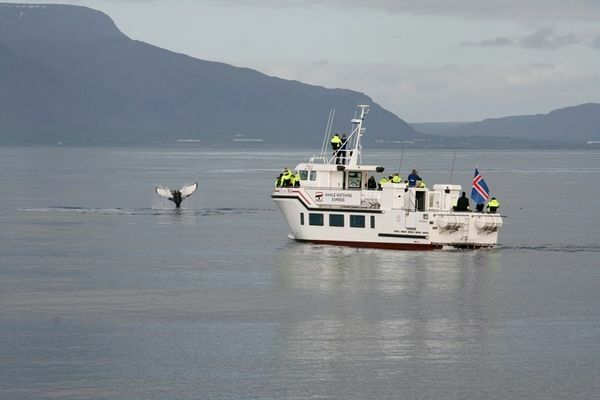 You can choose between our two whale watching boats, Rósin and Andrea. Rósin is our Express boat, it gets you out to the whale watching area faster than the other whale watching boats but still allows you to spend as long time whale watching. 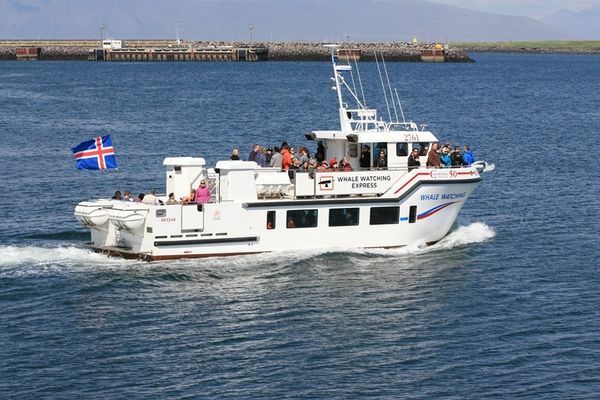 The Andrea is the biggest whale watching boat in Iceland and has an educational and interactive focus. It is also very family friendly and spacious with a cafeteria on board. Most common whale sights in Faxaflói bay are Minke whales and Humpback whales, White-Beaked Dolphins and Harbour Porpoises. Note that the whale watching and sea angling are two separate tours and you do not have to do them on the same day.